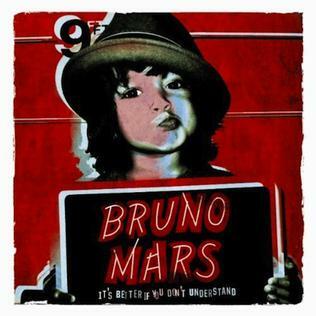 It's Better If You Don't Understand is the first EP by American singer-songwriter and music producer Bruno Mars, who also is part of the production team The Smeezingtons. It was released on May 11, 2010. Guests includes Atlanta-based rappers B.o.B. & Cee-Lo. The album was recorded in Hawaii and Los Angeles, California. The EP's title comes from both a line and the outro of "The Other Side". I recommend you to listen his EP, great songs and great voice. EARORGASMIC! Follow him on twitter also, @brunomars.